Stan Woody is a home-grown Pacific Northwest bowhunter. Stan, 40, grew up in Cathlamet, Washington, a small town nestled between the Willapa Hills and the Columbia River. Stan’s father worked for the Washington Department of Fish and Wildlife and they lived on a fish hatchery deep in the game-rich Elochoman Valley. He grew up hunting and fishing with his dad since it all started just a short step out the front door. Hunting wasn’t reserved for a week each year; it was a key ingredient of his life, and Stan often skipped school hoping to get another crack at that elusive buck or bull. Stan and his wife Shaudine now reside in Portland, Oregon raising their three children; Ashley (8), Hailey (6) and Hunter (2) – all of whom have a full-time bowhunting mentor in their father. Stan is a full time Engineering Manager for Intel Corporation and Co-Founder of FreshTRAX Inc. 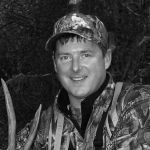 He is also a product design and engineering consultant, Beta Program member for Columbia Sportswear, and on the Field Staff for Pursue the Outdoors. His affiliations include the Rocky Mountain Elk Foundation, American Society of Mechanical Engineers and the Oregon Hunters Association, to name a few. Stan has worked in some of the most rugged outdoor backcountry locations across the U.S. including Alaska, Washington, Oregon, Idaho, Montana, Wyoming, Yellowstone National Park, Yosemite National Park, and the extreme conditions of Bristol Bay, Alaska. These positions provided endless adventure in the backcountry, mountaineering, hiking and hunting. Although Stan grew up hunting with his father since he could walk, in 1990 his lifelong friend, Tom Ryle, talked Stan into buying his first bow and he hasn’t looked back since. 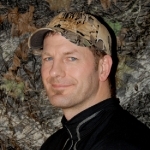 Stan has been blessed with much success in the field, harvesting a wide variety of game but specializing in D.I.Y. Roosevelt elk and blacktail deer throughout the Pacific Northwest. He credits his success to God, his dad, and to those who have mentored him through the years. His adventuresome spirit and work have taken him to countries all over the world, including: Israel, Turkey, Malaysia, China, Canada, Taiwan, Japan, England, and many places in between. Even though Stan loves traveling and new adventures his roots pull him back to his passion of bowhunting elk and deer in the lush environment of the Pacific Northwest, where Tom and Stan have recently launched their new venture, FreshTRAX, Inc. Stay tuned!